There are awful statistics out there, everywhere, about childhood obesity. Like the one saying that nearly 1 in 3 children and teens in the U.S. is overweight or obese. The reasons for this are undoubtedly fairly complex, but clearly one answer is for kids to be more active, and to eat in a more healthy manner. GoTrybe is one organization that is trying to help with that particular answer. GO get active, TRY something new and BE your best! 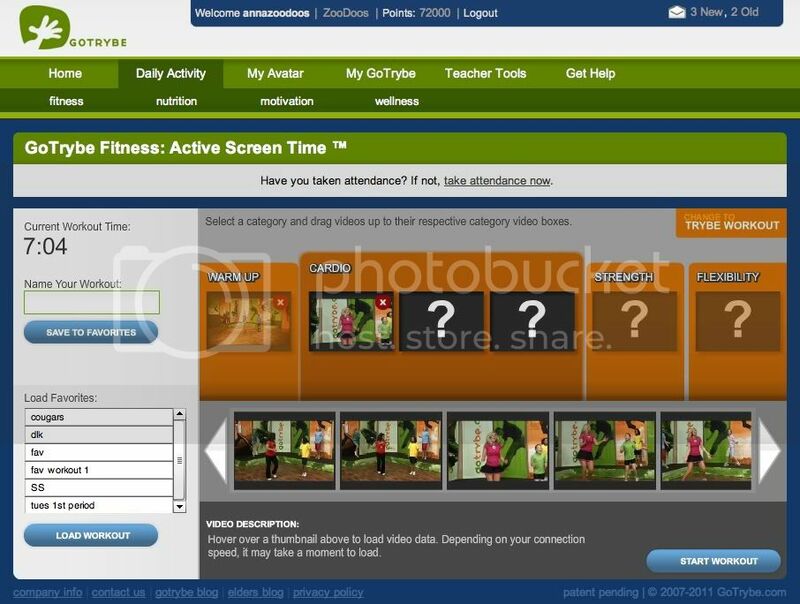 GoTrybe provides a web-based program that can be accessed anywhere you have internet. There is fitness, nutrition, motivation and wellness content every day. GoTrybe has programs available for different age groups, from K-12. We used Trybe180, meant for 6th-8th graders. Upon signing up, you get to choose an avatar. 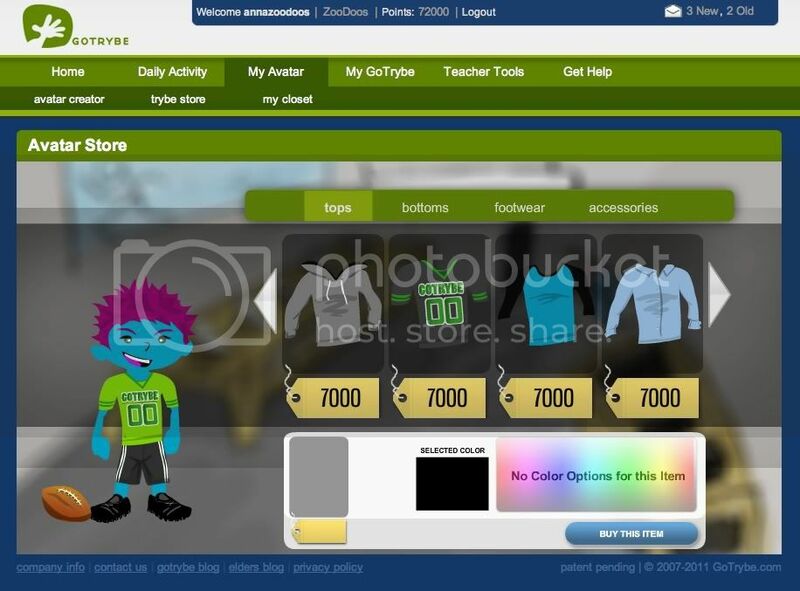 And as you earn points, you can customize that avatar with clothing and accessories. We really love the concept of this. The idea of getting little snippets of nutritional content each day, for instance, is really appealing. The kids weren't terribly impressed with the motivational parts though. One concern I always have with my teen/tween boys and workout videos is how people are dressed. I was pleased to find that I did not have major issues with the dress in the workouts I saw anyway. It can be really hard to find that line, I think. We don't want something too tight, skimpy and revealing. But we also don't want baggy and UNrevealing either -- I know from personal experience how frustrating it can be to do a workout when the instructor's clothes keeps you from figuring out just what she is actually doing in a given exercise. I think GoTrybe found a reasonable balance. The only real complaint I have about this is that we were reviewing it during one of the most beautiful times to be active outside. I had a hard time getting my kids motivated to do a video workout when they could go outside instead. That being said, I am seriously considering signing up for an account when our subscription expires. It will be nice to have something appropriate for them when it is too hot to be outside working out, and it would certainly be nice to have something to do when it is cold, windy and miserable. You can go and see what you think for yourself. Sign up -- the code GETFIT will let you try it for free. After that trial, a full year subscription is $19.95. Disclaimer: As part of the TOS Homeschool Review Crew, I did receive a subscription to GoTrybe in exchange for my review of the product. All opinions are my own, and receiving complimentary products does not factor in to my opinions. For more about my take on reviews, visit my blog post here.